Are you, lovely CSI readers, loving Fall everything yet? I am! 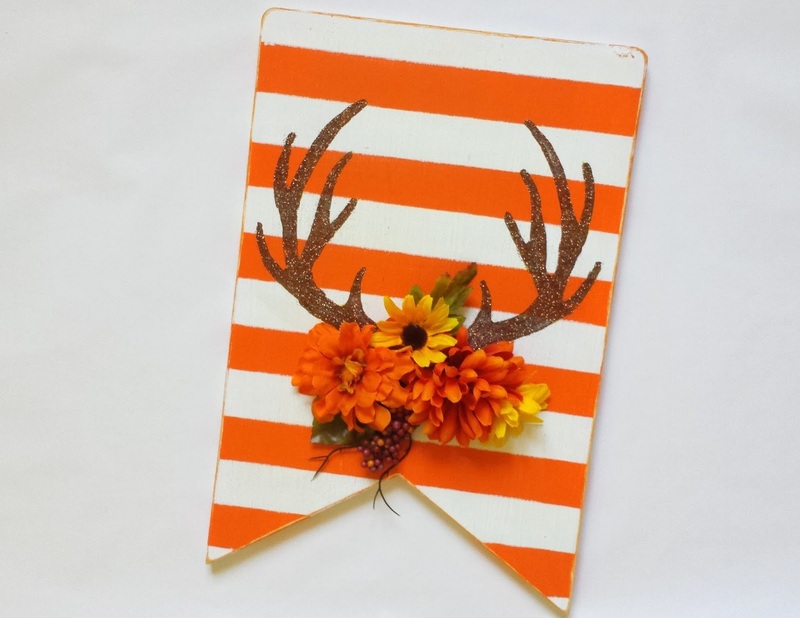 I adore this project by our new DIY Blog Editor, Katie! Hi everyone! I’m Katie from Tied Ribbon and I’m so excited to share a fun fall decoration DIY with you today. 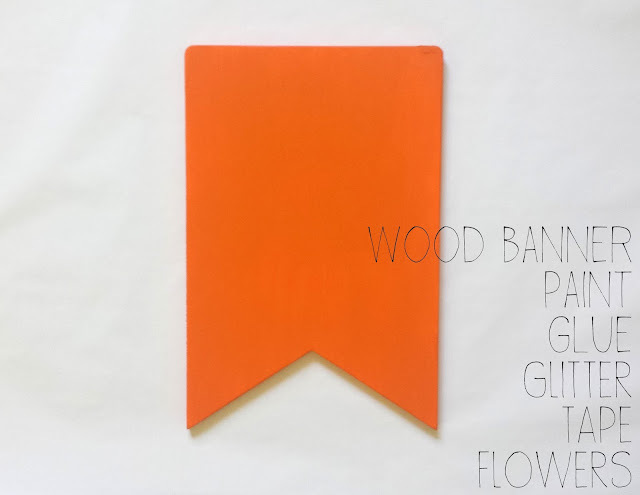 Start by gathering your supplies, I got my wood banner from Hobby Lobby. Paint your base color then measure & tape off your lines to paint. 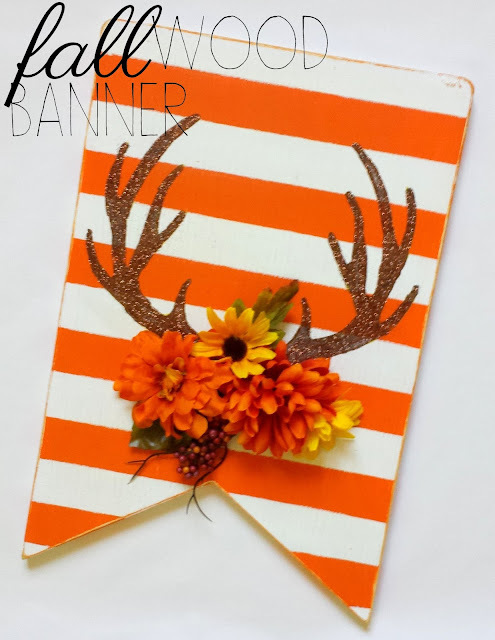 To make the antlers, trace your use a vinyl stencil. Working a little bit at a time, apply glue and then glitter, shaking off before applying more glue to other sections. Let the glitter dry completely before hot glueing the flowers the flowers on. Start with a few leaves, then layer on the flowers. And you’re done! Hang and enjoy! Let’s hope it makes the cooler fall temperatures come faster! Be sure to follow along at Tied Ribbon for plenty of DIY & fun tutorials. Katie is The CSI Project’s DIY Blog Editor. We are so happy to have her as a contributor!!! Super cute idea! 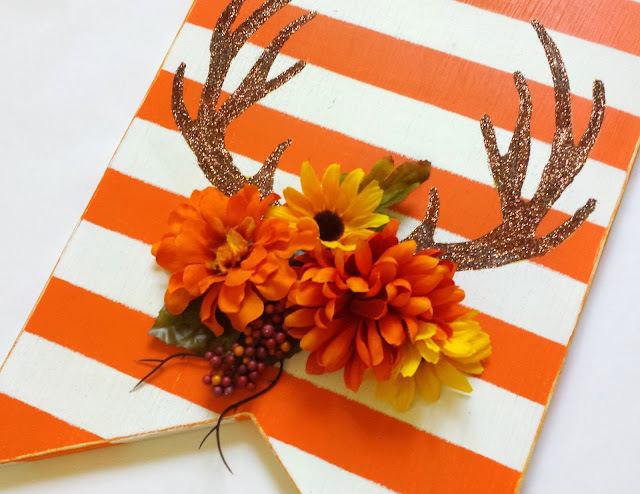 I love the mix of masculine deer antlers with the feminine flowers. This looks pretty fun! Thanks for sharing! I love everything about this Katie! It’s so cute and perfect fall colors! Thanks for linking up to The Handmade Hangout! I’ll be featuring this on my blog when the new linky goes live today (Thurs) at 6pm ET. Hope you’ll stop by to see your feature and link up again! Love the banner! How pretty! I love this banner. It turned out really beautiful. I’m so bad at using glitter, but you make it look easy. Thanks for linking up to the Creative Exchange. That is so pretty! 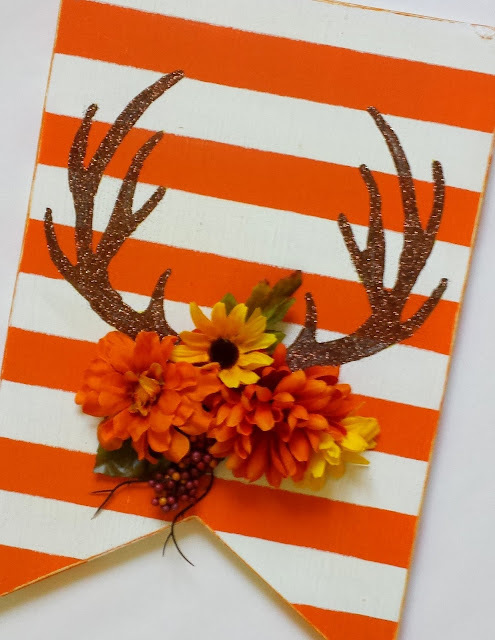 I’m going to add to my fall pin boards on Pinterest!